PRAYER PROMPT ••• About a year ago, I started doing the Proverbs 31 Online Bible Studies. I haven’t missed one since and through this online community, I’ve met and befriended so many amazing women from all over the world. One thing that has struck me over this year of online study is that I will probably never meet many (if any) of these fellow online Bible study participants. But because these are my sisters-in-Christ, we are united. Someday, we will have a reunion in heaven. Do you ever consider that? That the Christian friends you have aren’t just your friends on earth? These are the friends you’re going to spend eternity with? Does such an idea change the way you view your friendships? The fact is, friends don’t always agree. And sometimes, we meet people, even other Christians, that we just don’t like. But liking them isn’t the issue. 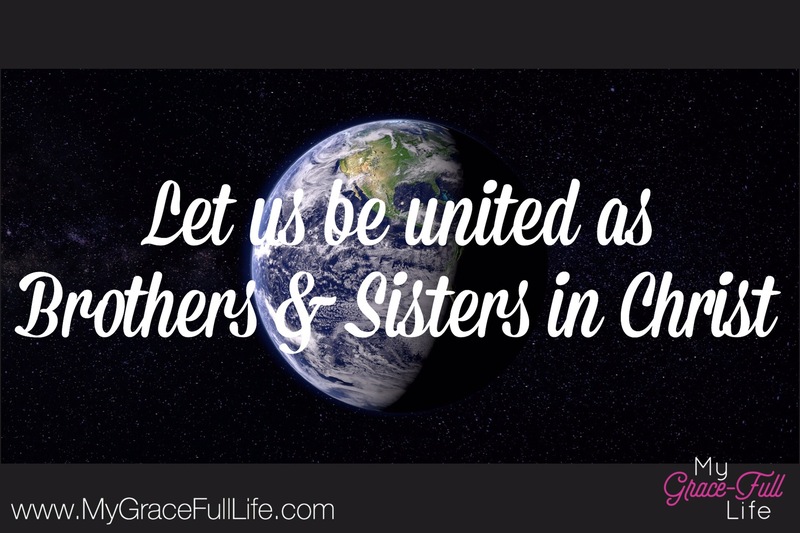 Do you love your fellow brothers- and sisters-in-Christ as we are commanded? Since we’re going to be spending eternity together, isn’t it a good idea to start now? Today, as you pray, thank God for the brothers- and sisters-in Christ you have… even those you don’t know. Pray for wisdom, that your relationships you have now will be based in love, knowing that any differences of opinion and disagreements you have won’t matter in the grand scheme of things, as long as you are connected by the common thread of love for Jesus Christ. Pray for your brothers- and sisters-in-Christ, and that they will earnestly seek His will for their lives, as you seek His for yours.